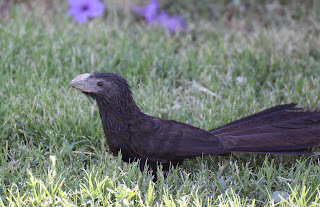 Back on the 12th of September, Harry Forbes emailed us about a Groove-billed Ani (Crotophaga sulcirostris) at the I-10 rest stop west of Ft. Stockton. 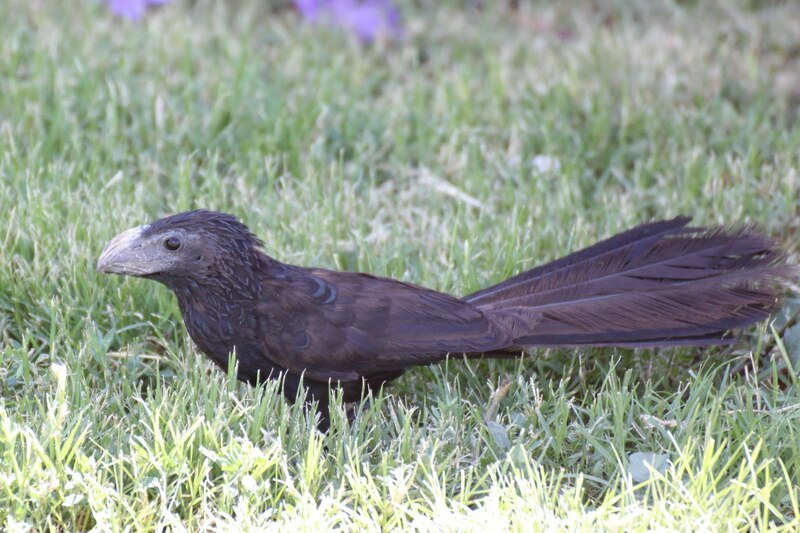 This member of Family Cuculidae, that is the "Cuckoos" ranges from south Texas in the summer, rare in winter around the Gulf Coast, and resides year-round in much of Mexico, through Central America, and northern portions of South America. 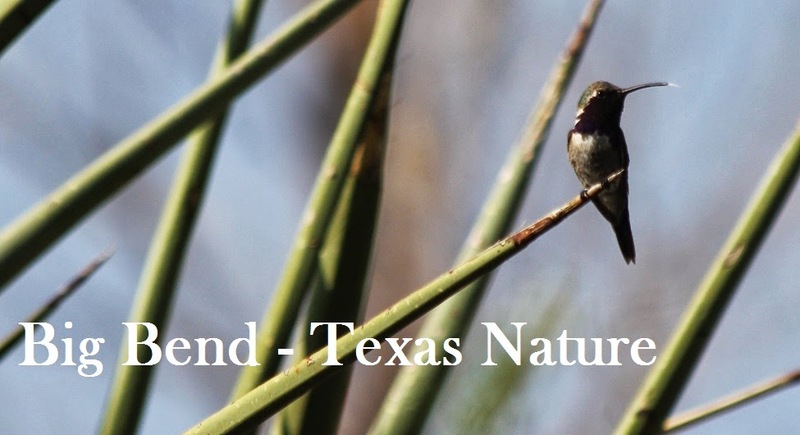 To Heidi and myself, this is always a Lower Rio Grande Valley of Texas bird in our shared memories. One characteristic of members of the "Cuckoo" family is the two toes in front and two toes in back on the feet. In its "normal" ranges, these birds are a delight to encounter due in large part to the "family" groups they are found in. 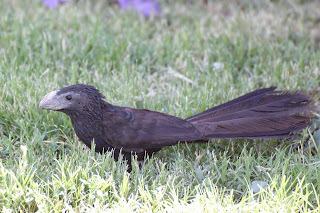 Primarily frugivores, we've seen them eat invertebrates when there is scarce fruit to be plucked; such as the Groove-billed Ani we had in Marathon last yr. The following day I decided to swing up there to give it a look, and listen.